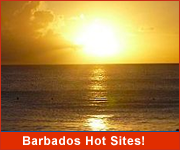 With an array of beaches and warm, clear waters Barbados is an ideal spot for boogie boarding. Silver Sands - The waves here are consistent and, especially in the winter months, are perfect of boogie boarding. This beach is also a world class spot for kite surfing and wind surfing. The Crane - Recognized as "one of the ten best beaches in the world", the waves at the Crane are very lively. This spot is best for more experienced boogie boarders. Rockley/Accra beach - One of the most popular beaches in Barbados, Accra's western side offers great waves for both boogie boarding and gentle surfing. Skeetes Bay - On the south-east coast, Skeete's Bay is a bit remote but well worth a visit. Expect consistent, medium sized waves. Where to rent a board? Many of the larger hotels and resorts provide watersports facilities which offer boogie board rentals. 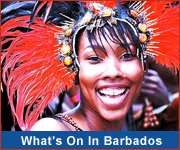 Most Barbados all-inclusive resorts also include watersports as part of your vacation package. 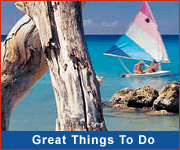 Rentals are available at only a few beaches so it's best to arrange one ahead of time or purchase one on island. Where to buy a board? If you are planning on boogie boarding quite a lot while on vacation, consider buying a boogie board when you arrive. They are quite inexpensive and can be purchased at many shops across the island, especially in the most popular hotel areas such as Holetown, St. Lawrence Gap and Rockley. If you're new to boogie boarding first get lessons from a watersports professional. Choose beaches with a lifeguard on duty. Check with the lifeguard is there are any spots that should be avoided. Avoid boogie boarding alone. It's always wise to have someone on hand in case you run into difficulties. Children boogie boarding should always to accompanied by an adult.